The clients driveway had settled straight along the garage. There was now a bump between the driveway and garage that the homeowner needed fixed. 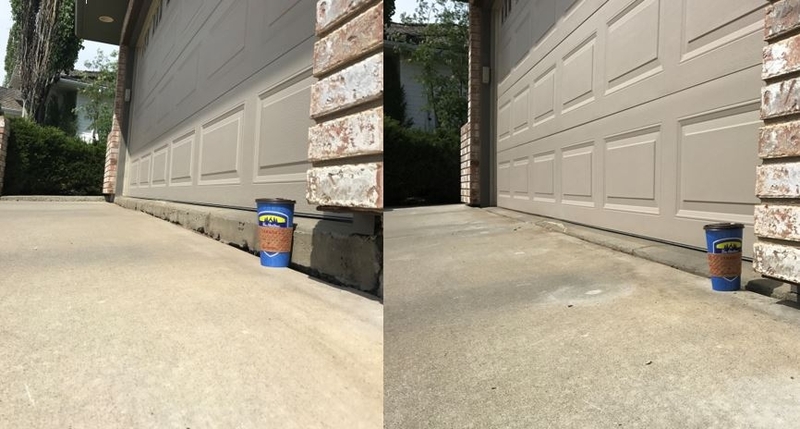 Using our polyurethane foam technology we drilled a series of 5/8" holes into his driveway, injected material under the slab filling voids and lifting his driveway to the original height. Even a if a driveway has settled over 4” like this poly lifting can repair your driveway!